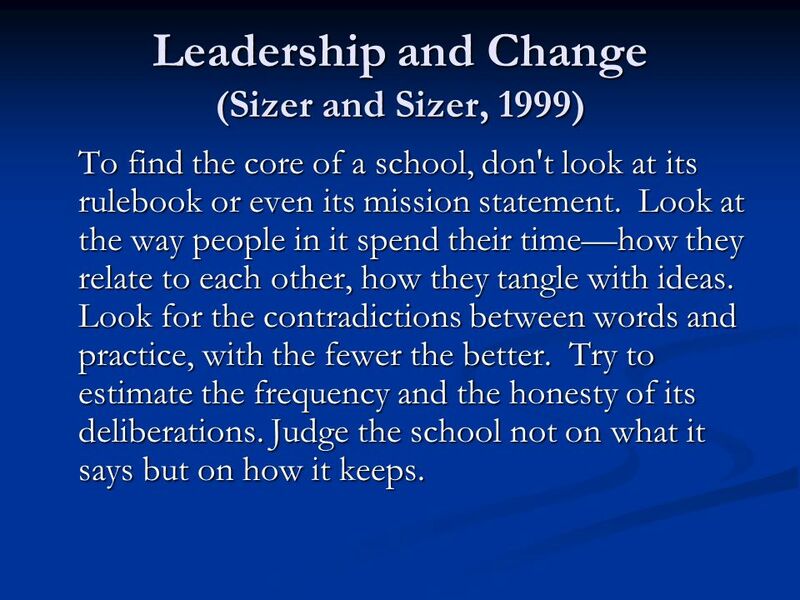 Leadership and Change (Sizer and Sizer, 1999) To find the core of a school, don't look at its rulebook or even its mission statement. Look at the way people. 1 Leadership and Change (Sizer and Sizer, 1999) To find the core of a school, don't look at its rulebook or even its mission statement. Look at the way people in it spend their timehow they relate to each other, how they tangle with ideas. Look for the contradictions between words and practice, with the fewer the better. Try to estimate the frequency and the honesty of its deliberations. Judge the school not on what it says but on how it keeps. 9 So what does all this mean for school-based adventure education? 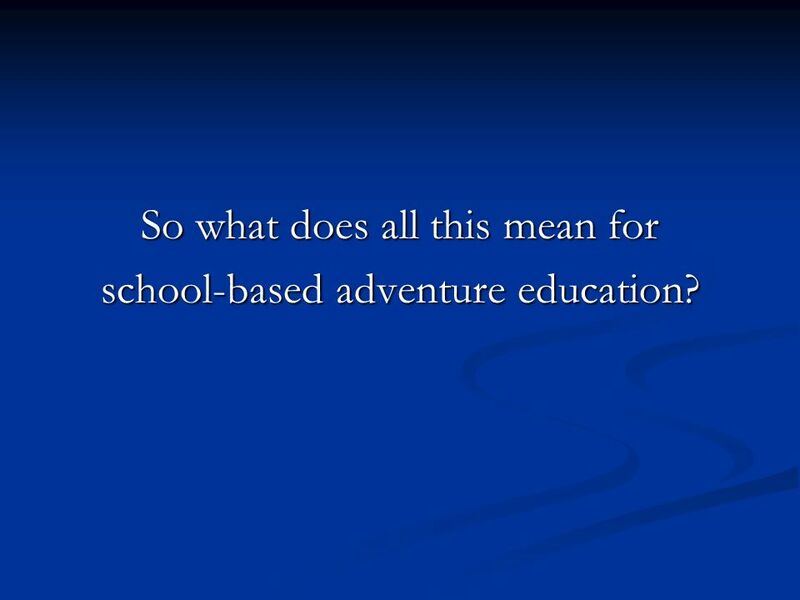 10 Questions Learning Outcomes: What specific adventure education (AE) outcomes do we want to achieve with your students? 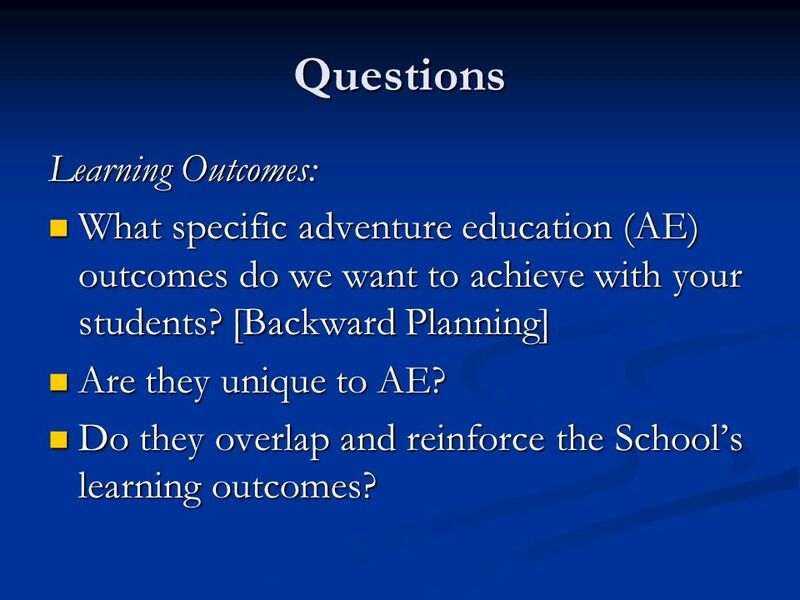 [Backward Planning] What specific adventure education (AE) outcomes do we want to achieve with your students? [Backward Planning] Are they unique to AE? Are they unique to AE? Do they overlap and reinforce the Schools learning outcomes? Do they overlap and reinforce the Schools learning outcomes? 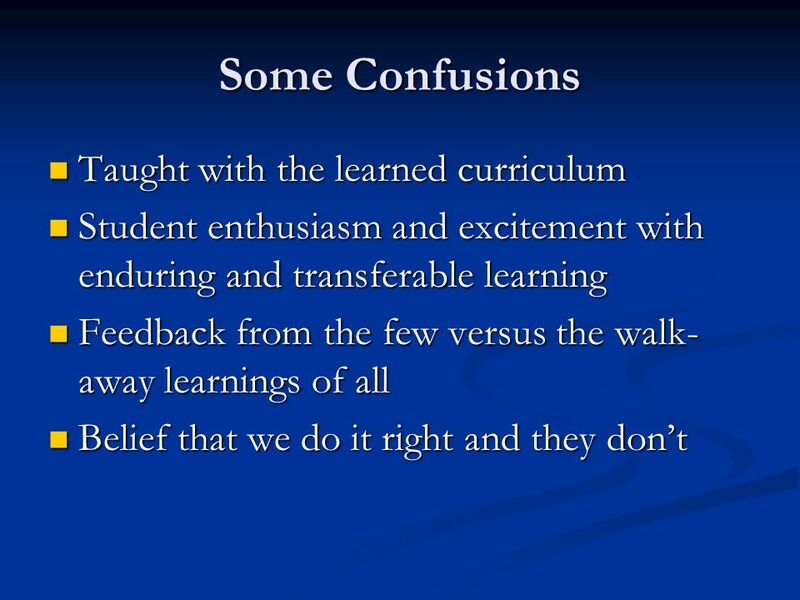 11 Questions Learning Outcomes: Are they for every student in your programs? Every student in the school? Are they for every student in your programs? Every student in the school? 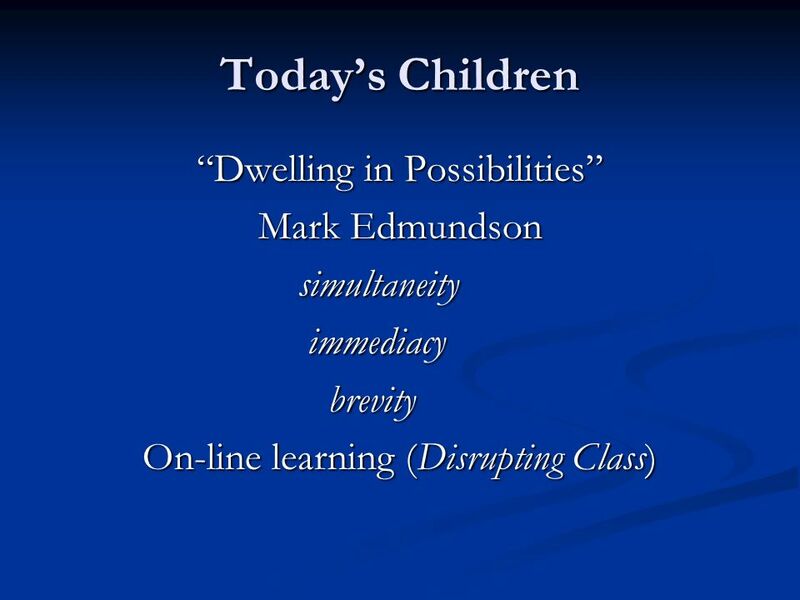 Which ones are to be enduring and transferable? Which ones are to be enduring and transferable? How will they be meaningfully linked to the schools overall learning outcomes? How will they be meaningfully linked to the schools overall learning outcomes? 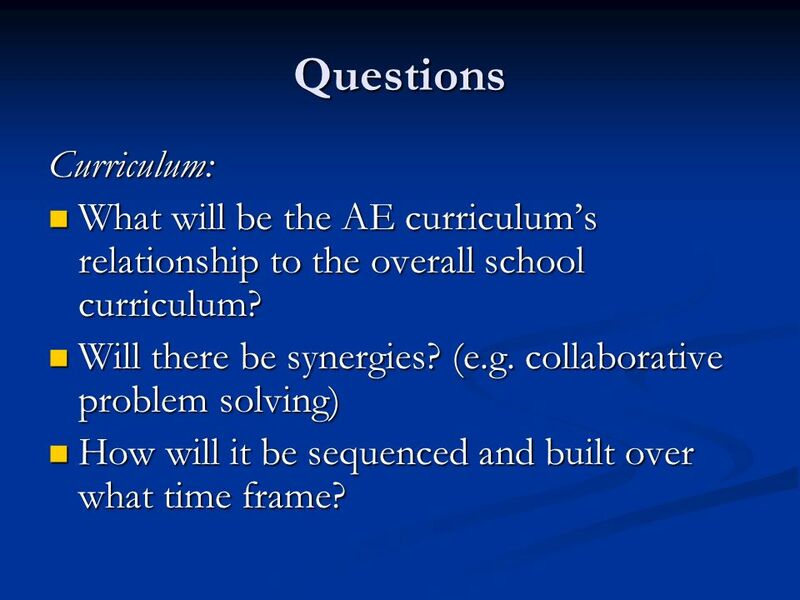 12 Questions Curriculum: What will be the AE curriculums relationship to the overall school curriculum? 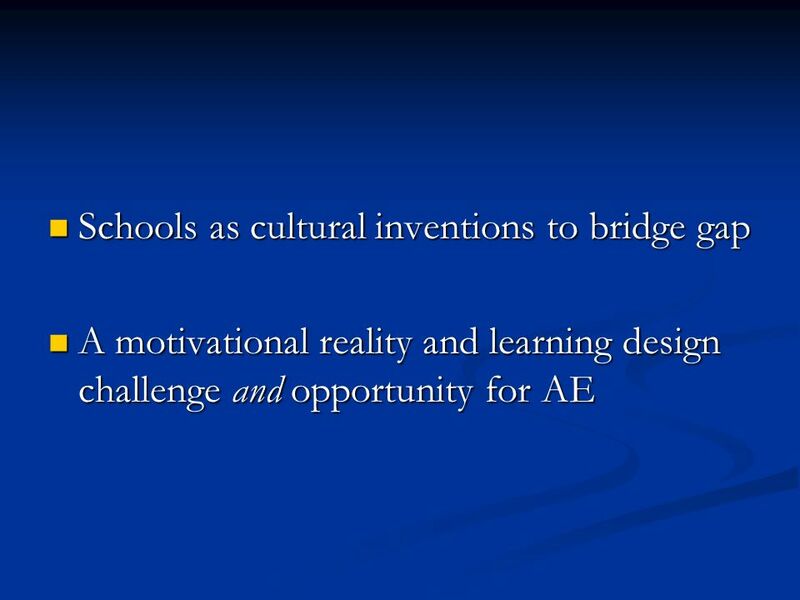 What will be the AE curriculums relationship to the overall school curriculum? Will there be synergies? (e.g. collaborative problem solving) Will there be synergies? (e.g. collaborative problem solving) How will it be sequenced and built over what time frame? How will it be sequenced and built over what time frame? 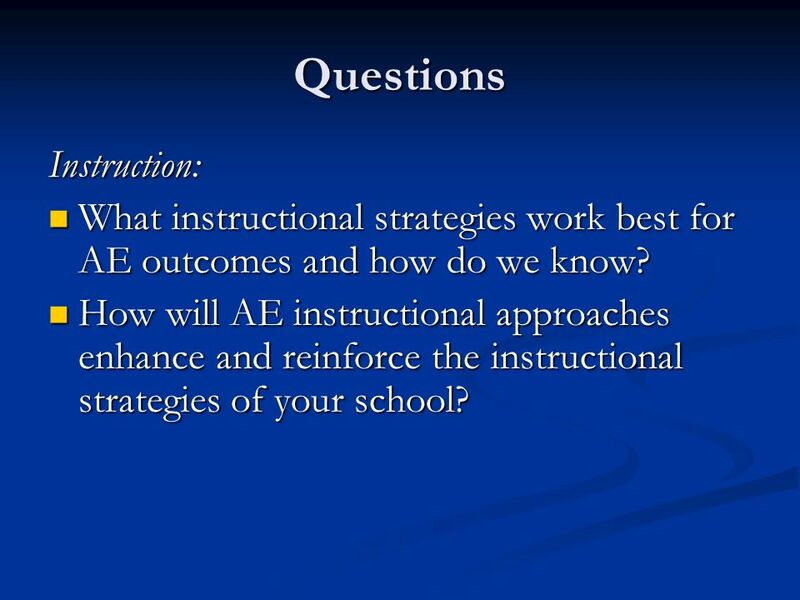 14 Questions Instruction: What instructional strategies work best for AE outcomes and how do we know? What instructional strategies work best for AE outcomes and how do we know? How will AE instructional approaches enhance and reinforce the instructional strategies of your school? How will AE instructional approaches enhance and reinforce the instructional strategies of your school? 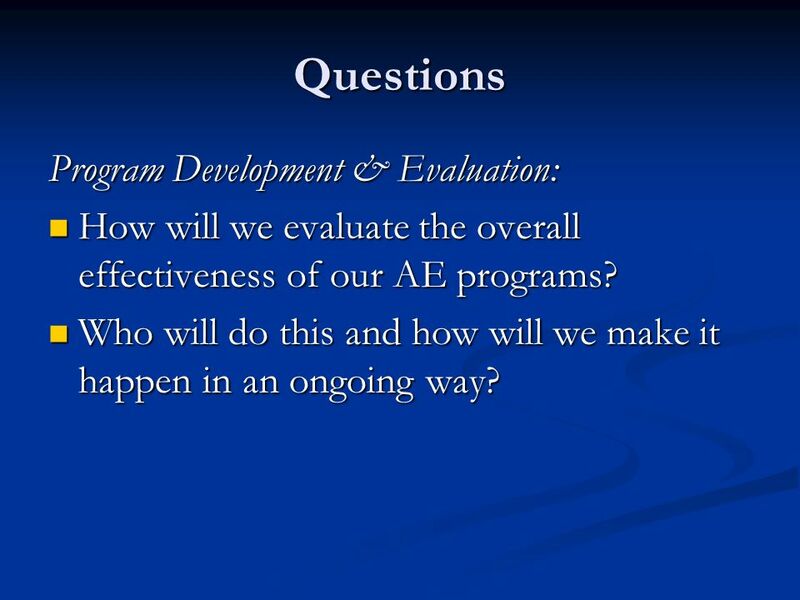 17 Questions Program Development & Evaluation: How will we evaluate the overall effectiveness of our AE programs? 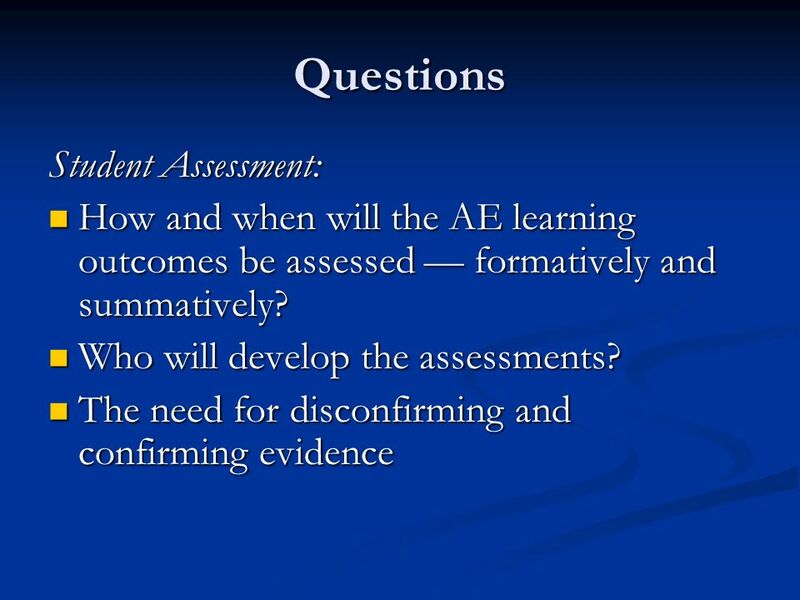 How will we evaluate the overall effectiveness of our AE programs? Who will do this and how will we make it happen in an ongoing way? Who will do this and how will we make it happen in an ongoing way? 19 What do we do? 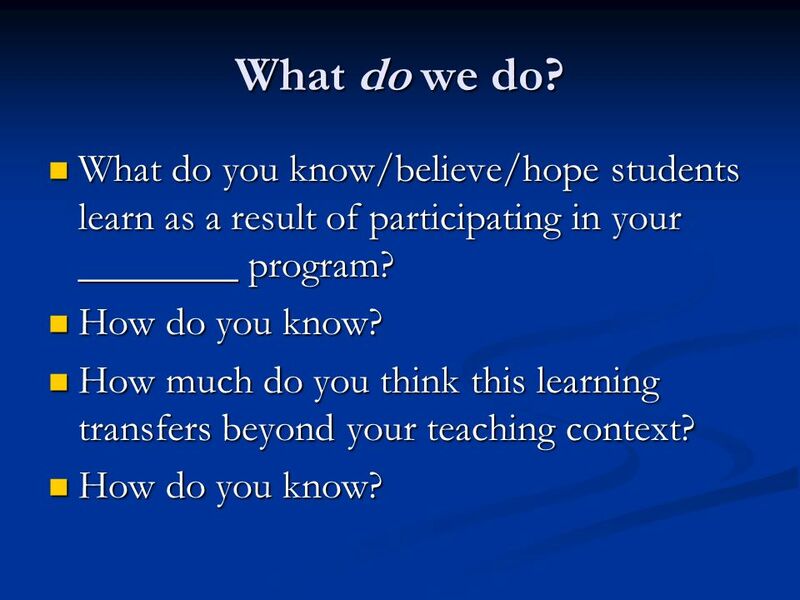 What do you know/believe/hope students learn as a result of participating in your ________ program? What do you know/believe/hope students learn as a result of participating in your ________ program? How do you know? How do you know? 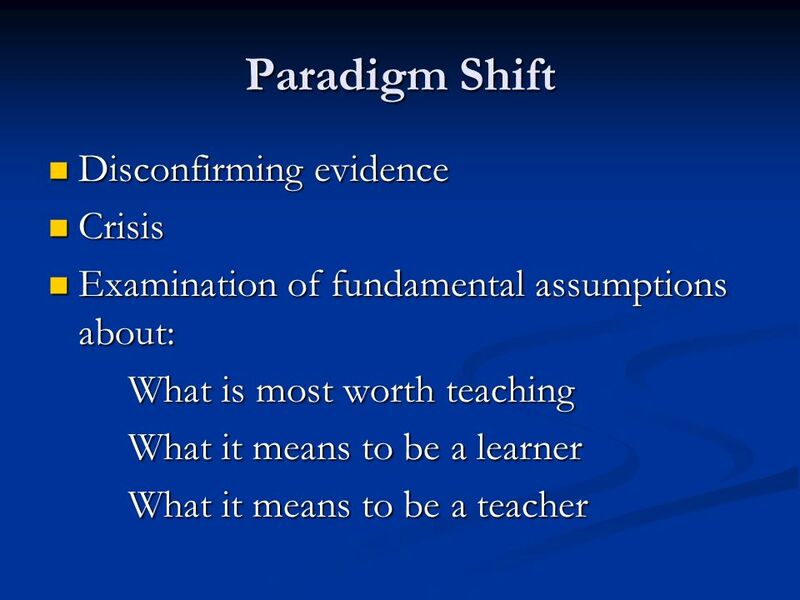 How much do you think this learning transfers beyond your teaching context? 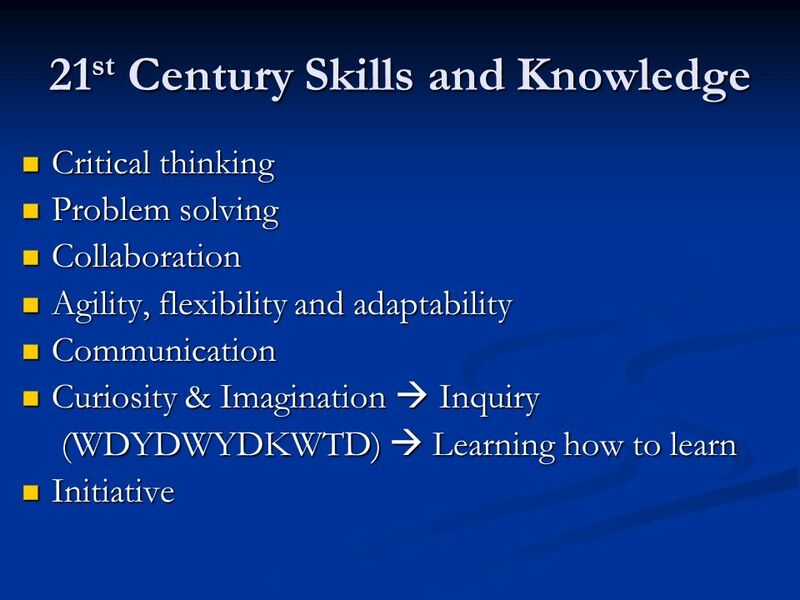 How much do you think this learning transfers beyond your teaching context? How do you know? How do you know? 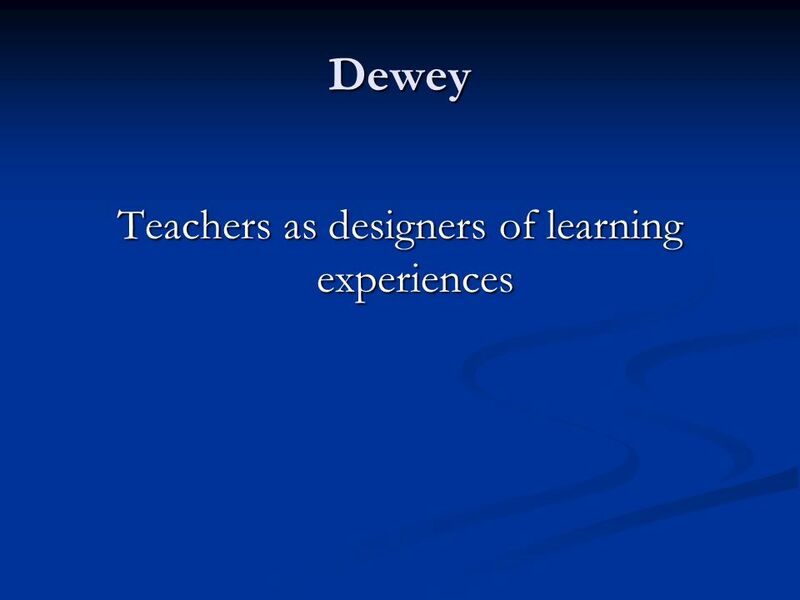 20 Learning Designs What do you know to be true about how children learn in academic or school contexts? 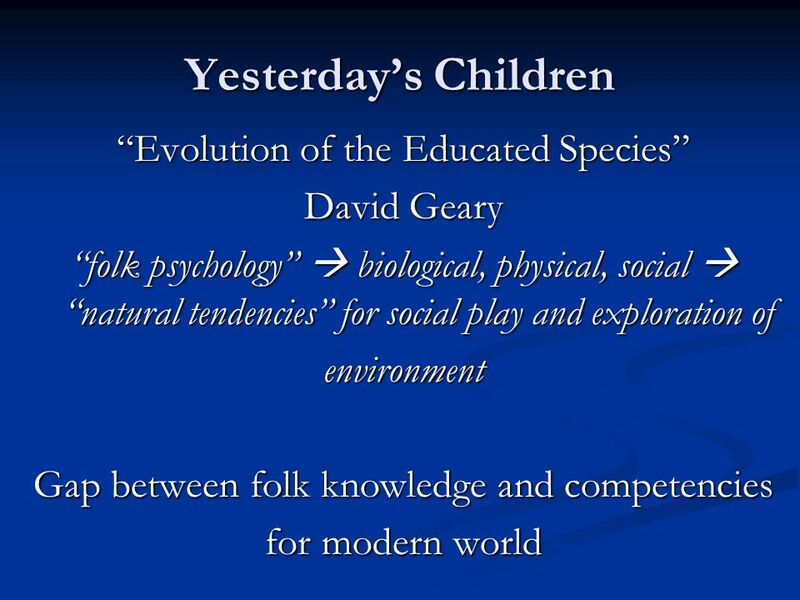 What do you know to be true about how children learn in academic or school contexts?classes co-curricular sports, after school, your program residential What are some principles of learning that you have come to believe best cause students to learn? 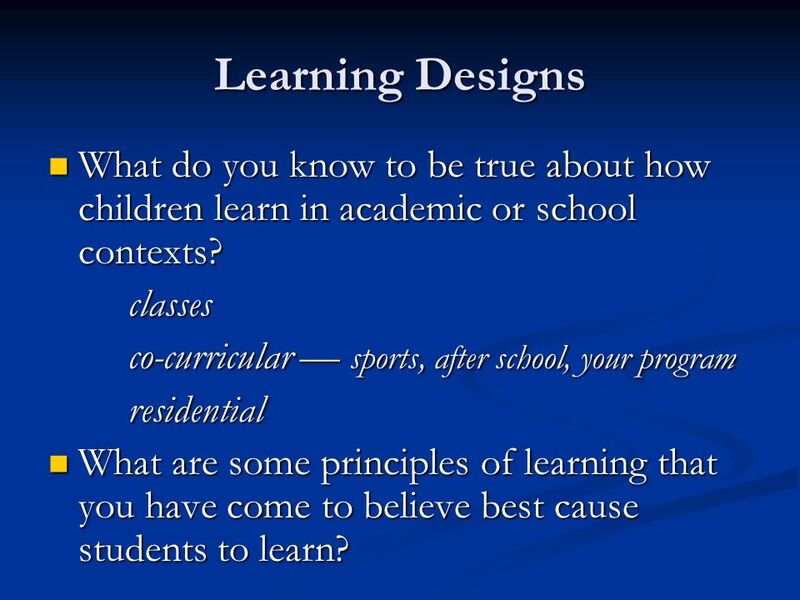 What are some principles of learning that you have come to believe best cause students to learn?  Download ppt "Leadership and Change (Sizer and Sizer, 1999) To find the core of a school, don't look at its rulebook or even its mission statement. Look at the way people." Filters or Conceptual Goggles Teacher, coach, & residential person in a variety of contexts Teacher, coach, & residential person in a variety of contexts. 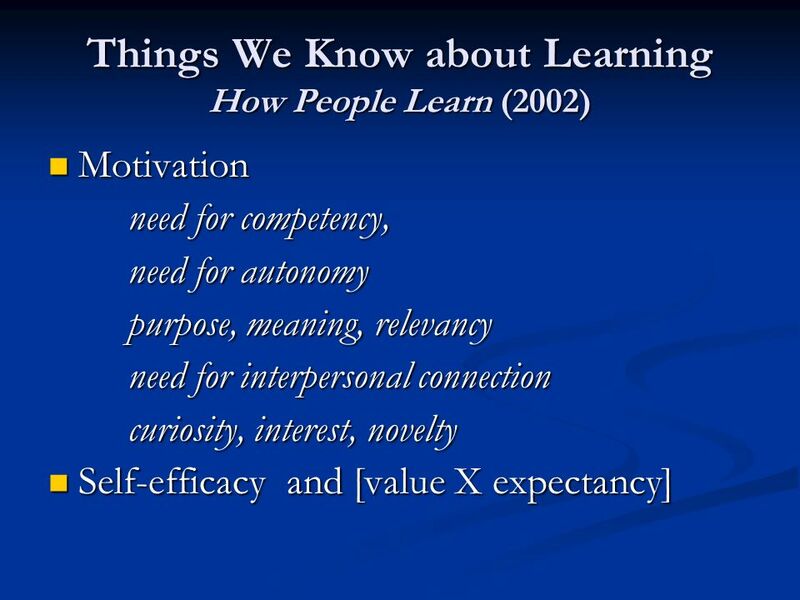 How People Learn: Brain, Mind, Experience and School John D. Bransford, Ann L. Brown, and Rodney R. Cocking, editors. Leadership in A PLC. Leading in a PLC Widely dispersed leadership is essential in building and sustaining PLCs, and it is important that individuals at. 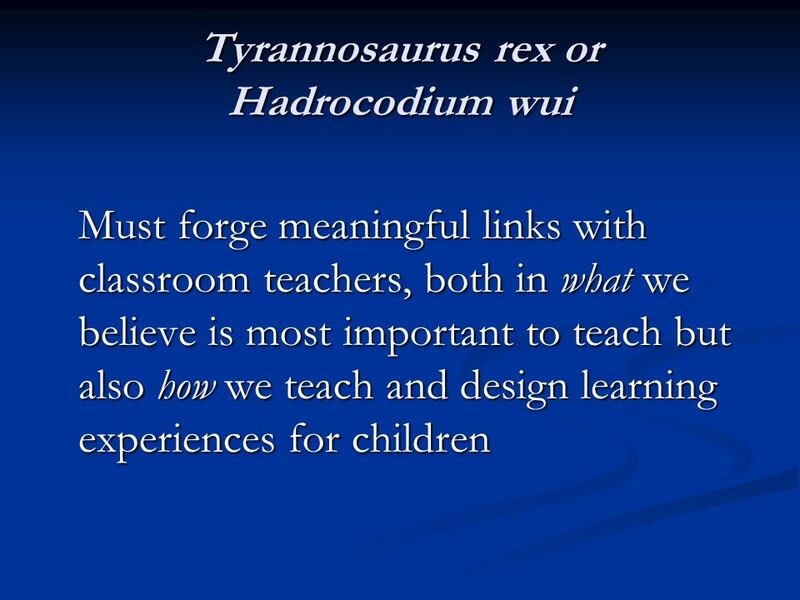 Theme-based Curriculum and Task-based Activities: A Language Teacher’s Reflection Yan Zhao. Module 1: Teaching functional skills – from building to applying skills 0 0. Somer Lewis, MA NBCT Teacher-In-Residence UNCW Watson School of Education. Module 1 Peer Coaching on Paper Peer Coach Training.